Maintaining records for your company can be an arduous process. Allow our accounting professionals to aid you with our bookkeeping and tax services, all executed with the greatest attention to detail. You'll find yourself dreading the tax season less with our firm on your side. Starting your own business can be incredibly rewarding, as well as worrisome. Ease your concerns with business consulting from our experienced accountants. Get the answers you need when it comes to running your company. Ready to get your finances and records in check? Schedule an appointment with us today in Nutley, New Jersey. 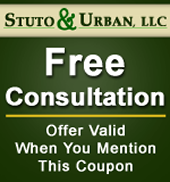 Alleviate the stress of handling your accounting services by calling on the pros at Stuto & Urban, LLC, in Nutley, New Jersey. Filing taxes and maintaining your bookkeeping is easy with us. With more than 30 years of accounting experience, we tailor our services to your needs. Our prices are fair and in line with the competition. Both partners, Charles J. Stuto, CPA and Catherine A. Urban, EA are registered tax professionals licensed to practice in New Jersey and New York and have been working together for over 20 years. Our business has thrived mainly through repeat customers and referrals. Our customers say we pay attention to details, offer a very personable service, and help save them money. Providing a good product for a good price is important to us. When some people think about accounting, it is an unpleasant feeling, but we make things easier. We care about our clients. Our network makes sure we get our clients the best business.